During this very “non cloudy” evening with a perfect transparency, I observed this planet conjunction from my own terrace. I use a 10×50 binocular to find Mercury as early as possible, then with my 102/1000 refractor I begin to sketch this planet that I see with a pale orange light, until masking by the horizon. Some time after, I sketched Venus, with a more blue light. The EP I used was a 40mm to find the planets and then a 10mm SWA to sketch. What is uncommon here is the apparent diameter of both planets, they looks very similar in size but with very different colours. In fact, Mercury was close to us, nearly between the sun and the earth, and Venus was far further our star. 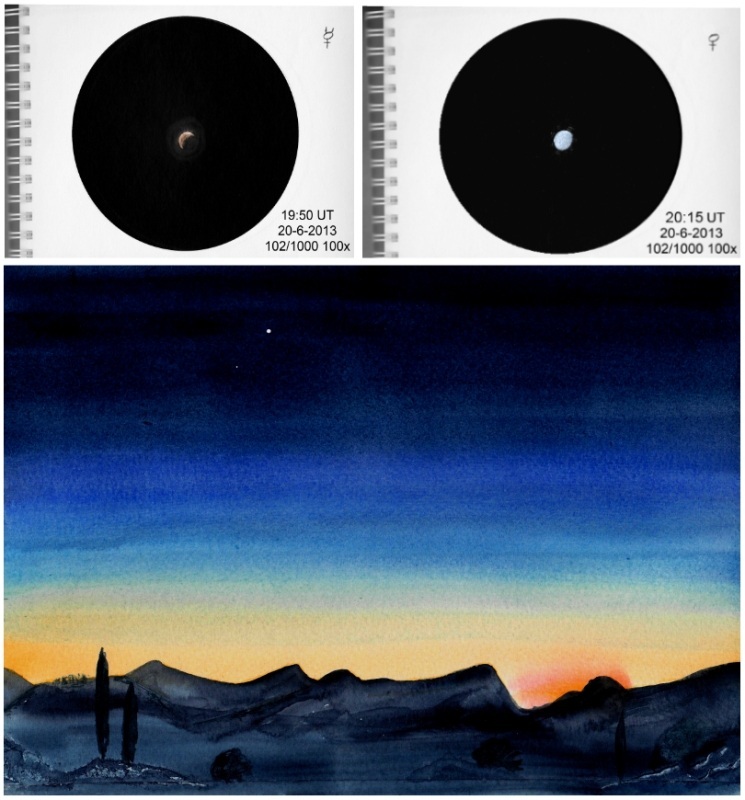 This is a stunning capture in water color with excellent close ups of the two planets. Beautiful sunset and great skill!!! I have been waiting for such picture from that conjunction. Oh, thank you guys for your nice comments !